Lookie who wrote a book!! The Front Cover is below, and just below the photo is what Amazon says about the book and the author. Keep your eyes peeled here and other places for an announcement about when and where you can "Meet the Author" (Hah!) and get your book signed in Marshall. Venues are being discussed as this is being written. 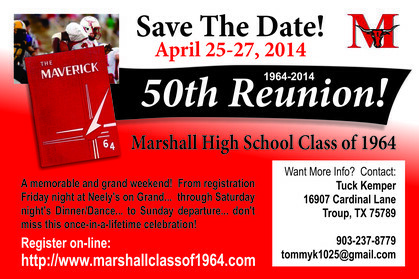 Dates, Place, and Time should be announced later this week. 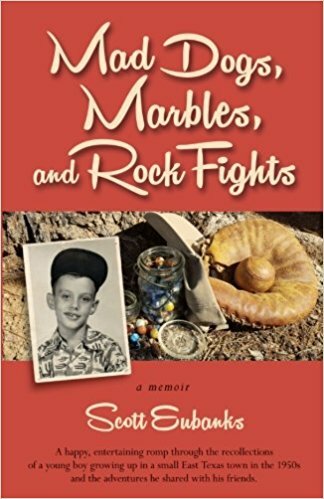 Mad Dogs, Marbles, and Rock Fights: A Memoir is not an autobiography. 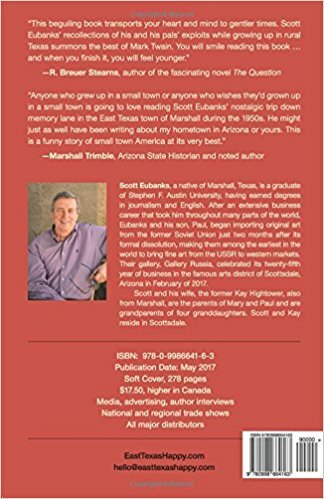 It is a recollection of a time—the 1950s and early 1960s—a place—Marshall, Texas—and the characters of that time and place from the perspective of a young boy who did his early growing up then, there, and with those characters. It is a non-fiction work, although I am sure those with whom I spent my early years in Marshall will point out my misremembrances. I once read that we are great at revisionist remembering. Scott Eubanks, a native of Marshall, Texas, is a graduate of Stephen F. Austin State University, having earned degrees in journalism and English. After an extensive business career that took him throughout many parts of the world, Eubanks and his son, Paul, began importing original art from the former Soviet Union just two months after its formal dissolution, making them among the earliest in the world to bring fine art from the USSR to western markets. Their gallery, Gallery Russia, celebrated its twenty-fifth year of business in the famous arts district of Scottsdale, Arizona in February of 2017. 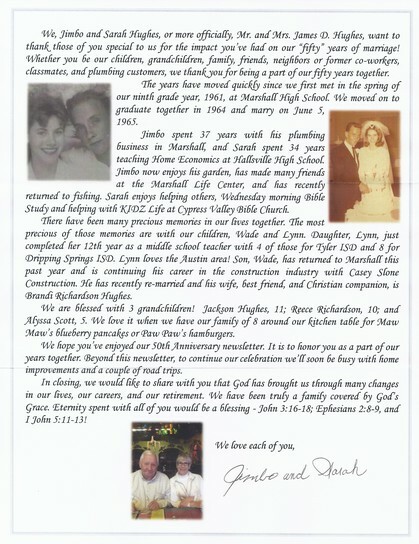 Scott and his wife, the former Kay Hightower, also from Marshall, are the parents of Mary and Paul and are grandparents of four granddaughters. Scott and Kay reside in Scottsdale. 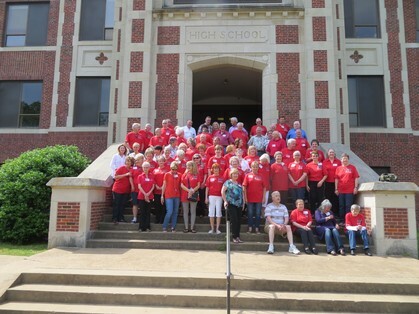 Class of 1964 "Class Photo" at our old school! 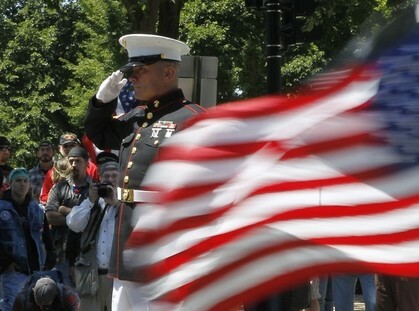 To America's men and women in uniform, past and present, we thank you for your service, courage, and sacrifice. We lost our personalized music player a few months back due to the service losing it's replay permissions, but I found this site that may be enjoyable to you. The link below is set to deliver you to the greatest hits from 1962-1972, but the homepage of the site will let you listen to whatever suits your tastes. Try it out and let me know what you think. that will knock your socks off, even if you've seen it before.